Retrace is a project by T.Railey, co-host of The Double Technical Podcast. He was adopted from Japan as an infant and is traveling back to find his birthparents. Support the trip back by rocking the Official Retrace Podcast Tee in both Mens and Women's styles! 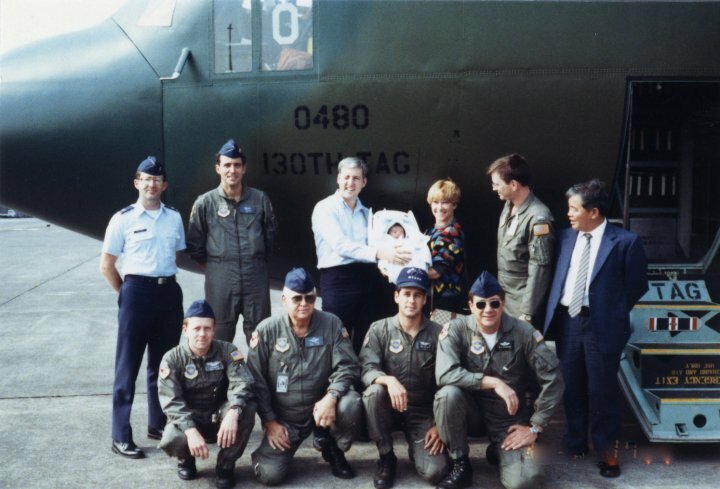 The day I was adopted, my first flight was on a US Air Force C-130. I'll have my Dad tell you that story on a future episode. I'll have my Mom tell you how I didn't cry until after we landed at Yokota Air Base, Japan. The story of that day is incredible and I can't wait to share it with you. I'd also like to say that I couldn't do this without the support from my Mom and Dad. They are the most loving, caring, supportive parents that a guy could ask for and I am truly blessed to have been chosen to be their son. Most importantly, I plan on donating the profits for this shirt to the Kindred Foundation for Adoption and the Dave Thomas Foundation for Adoption. Why support? Really?! Because you've got to admit, it's a pretty sweet looking shirt! Amirite? When you purchase this shirt you will you be receiving a pretty cool, well made shirt (made in the U.S.A), you'll be helping two incredible charities that help people like me connect with their families or children waiting to be adopted and looking for their forever home. There's no shame in not buying this shirt, I get it. It's January and we're all trying to downsize before the Spring/ Summer season. One way you can help is to tell your friends, family, co-workers, etc about this campaign and have them listen to my teaser episode above. The more circulation this story gets, the more people I can inspire to do the same. That's the goal here. I want to unlock people's ambitions to find themselves. Thank you for taking the time to read a little about this project. Take care and don't forget that everyone has a story, they're just waiting to tell it. Kindred’s initiative is to provide international and domestic adoptees and their families (both adoptive and biological) with services such as travel, translation, and support for those who wish to reunite; easily accessible hotlines; introduction to art and encouragement of artistic expression; and programs set in native countries to aid orphans living within the foster care and government systems. No matter how big or small the need, the foundation’s goal is to aid adoptees and their families in finding stability and happiness. The Dave Thomas Foundation for Adoption is driven by a single goal: finding a loving family for every child waiting in foster care to get adopted. We are America’s only national nonprofit charity dedicated solely to finding permanent homes for the more than 110,000 children in foster care.